Do you plan to join in a Salesforce training center in Chennai? 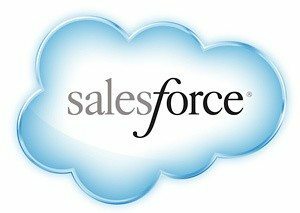 Why do you want to get a certificate in Salesforce? Well, you have to check out this article for clear reasons. In the present scenario, the job market is facing a stiff competition. If the candidate does not have necessary educational skills, then there are high chances to get rejected in a fraction of a second. Candidates with knowledge of advanced skills and technology can easily land in their dream job. Salesforce is one of the important concepts you have to learn and become a master. If you are looking to add value to your resume and your company, then you have to take the best step that remains useful to your profession. The certification programs are designed, according to the professionals and fresher level of knowledge. It gives a boost your resume and makes you stand ahead of other aspirants. Companies have started to use cloud based technology in their business operations. The Salesforce training and certification will help the candidate to align the sales and marketing process of the business, execute customer service strategies and streamline business processes. There are several certification programs under the Salesforce stream. It will help you to get knowledge about the latest technology and remain popular as a manager in your industry. Boost Employee Adoption: Imagine your company has integrated Salesforce. The application will assist in streamlining daily activities. If you and your co-workers do not know to handle the application, then it is a total waste to the organization. The manager would regret investing in a platform that no one knows. Well, you can rescue the status by learning the Salesforce certification courses and appearing in the exam. When you learn the program in depth, you will know how to make use of Salesforce in the best possible way. The coworkers will feel happy to work you since you can sort out the issues and answer their questions. Above all, the management will feel proud of you and aid to promote user adoption. Stay up to date: The best part of cloud technology is that whenever there is an update or new release, it will be directly updated in the application. The Salesforce application receives updates at different times of the year. If the company has implemented Salesforce, then they do not have to wait for several months to update their software. It is necessary to maintain your certification in current status. When you have the certificate, you can contact the responsible person whenever a new update is deployed in your system. Boost resume performance: Are you presently unemployed? Well, you have to think about adding an impressing element to your resume. Companies receive thousands of resumes, and you have to make sure that your resume remains unique and out of the crowd. If you have knowledge and certification in Salesforce technology, then the employer will wish to approach you for your knowledge and expertise. They will ensure whether you have the talent and skills to use their technology. Before coming across this blog content, I did not know that it is important to get a Salesforce training certification. After reading it, I have realized how important the certification is to improve my skills and give a boost to my career. Is Cloud Accounting Software A Wise Investment For Your Business?